Buffalo’s WLAE-AG300N works in three ways. The first is to add an additional wi-fi access point if there are ‘black spots’ in your home. Here, an Ethernet cable is run from your router to where the additional coverage is required. In the second mode, two WLAE-AG300Ns act as a wireless ‘bridge’ between two existing wired networks. Finally, there’s the ability to connect non wi-fi devices to a wireless network, by running an Ethernet cable from the WLAE-AG300N to the device. 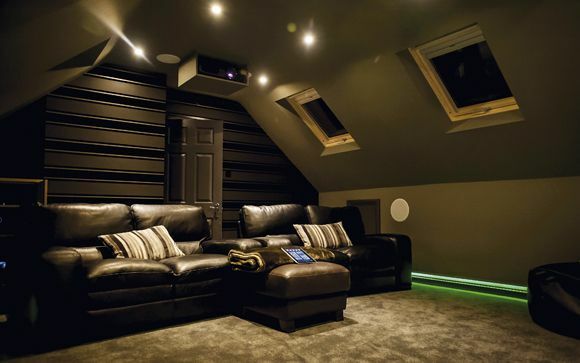 This system uses Dolby Volume, which is a technology designed to intelligently ‘normalise’ loudness to avoid the annoying volume jumps familiar to late-night telly addicts, when broadcasters turn up the sound for adverts. The tech, which was modelled on psychoacoustic research conducted by Dolby, is integral to recent TVs, AVRs and this Volume Stabiliser. If all you need is the ability to stream multimedia files to various players around the home, then this device is for you. The 4420 has a server that’s fully uPnP compliant, and boasts a feature you won’t find on the average NAS – the 4420’s integrated wi-fi capabilites enable you to set up an additional access point, or bridge any networking ‘gaps’ in larger homes. The ScreenPlay is a no-thrills, hard drive-based storage device for easy multimedia file playback. With no networking functions, it’s down to you to stream your media via a USB drive or laptop after installation. Out of the box, this is a non-networked version of AC Ryan’s PlayOn!HD media streamer, but you can add an optional £20 wi-fi dongle to change that. My sample came with a pre-installed 1TB HDD and there are 500GB and 2TB versions. The popularity of video downloading means that media players are becoming increasingly essential, even if your PC media source is in another room. But what if the PC is small enough to tuck under your TV? Enter Acer’s super-compact Revo 100. While a Blu-ray/HDD recorder can cost you around £400, if you have a laptop, it may make more sense to add an external Blu-ray burner to it at half the cost. Buffalo’s 12X external drive is ideal. Until now all of the digital terrestrial tuners sold for use with PCs complied to the old DVB-T standard. But all HDTV transmissions employ the newer and more efficient DVB-T2. The T2 290e, a tiny and stylish USB 2.0 dongle, is the first to be compatible with both. It can be used with notebooks or installed on desktop machines.